Occupation: Skilled thief, and memeber of Tantalus. Zidane is the hero of the story.His only family seem to be a band of thieves. He is a headstrong character and born leader. He's only 16 but extremely talented with daggers and twin blades, and with a steal ability. Quote:"You don't need a reason to help people." 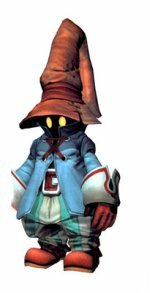 Vivi is a mysterious kind hearted black mage,who turns up in Alexander for no reason.His only family was his wise grandfather, who dies, this has forced vivi to grow up. 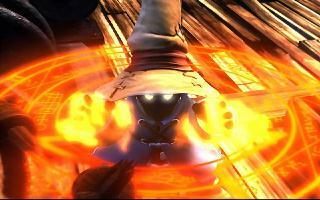 He searches the game for the truth of his existence and origin and the secret behind the black mage making. Quote:"How do you prove that you exist? Maybe we don't exist". The only heir to the Alexander throne, but ironically she has no royal blood. She was adopted by the evil Queen Brahne purely for her summoning ability. 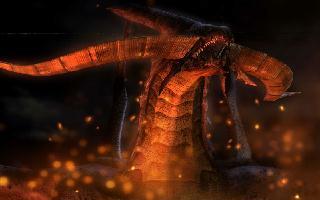 Her summoning ability hasn't been realized for its strength but as she grows older the ability grows powerful. Quote:"Someday I will be queen, but I will always be my self". Occupation: Captain of the Pluto knights. Steiner takes his role as captain to seriously, a bit too much. He watches the Princesses every step like a mother, until he finally calms down when he realizes her strength, He has a extremely strong sword attack, and can have a magic sword attack, when combined with Vivi. Quote:"having sworn fealty, must I spend my life in servitude?" 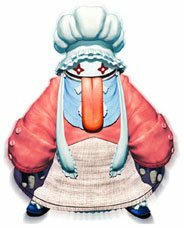 All Quina wants to do is travel the world and eat. If the opportunity to eat food arises, then s/he is off like a shot, your best bet to keep it happy is to learn its brilliant blue magic abilities by eating the enemy. Quote: "I do what I want! You have problem?" Freya gave up her position as one of Burmecia's most talented soldiers, when reports came in of death of her true love, Sir Fratly. She has been traveling the globe in search of him. She has amazing jumping skills and dragon abilities. 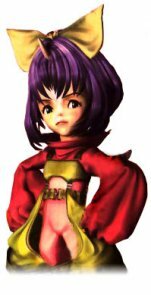 Quote:"To be forgotten is worse then death"
Eiko is the last of the Madain Safari summoners, so she is a valuable young character. Her main reason for joining the party is so she can take her crush on Zidane further. But really she's just a lonely little girl looked after by a bunch of moogles. Quote: "I don't wanna be alone anymore"
Nothing much is known about this guy. He used to work as a bodyguard in Treno, Until Zidane got him fired. 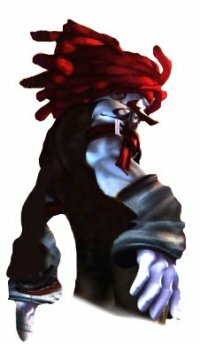 He joins the party in order to find the strength behind Zidane, he has brute strength and throwing abilities. Quote:"The only dependable thing about the future is uncertainty".